What is the Key to Job Satisfaction for Family Physicians? If you love what you do, you’ll never work a day in your life. That’s the mantra for those who have followed their passion and look forward to going to work every morning. And family physicians are no exception. But a career in family medicine is not without its challenges, especially when it comes to overall job satisfaction. Here’s a look at some key factors that determine job satisfaction among family physicians. Are family physicians more satisfied working in a hospital setting or working in a private practice? The answer to this question varies greatly. Working in a large hospital setting can be viewed as a more stable work environment since there is no practice overhead to worry about, fewer time-consuming administrative duties, better employee benefits and greater work-life balance. Hospitals are also in a better position than private practices to invest in information technology systems and management tools. The changing healthcare market is another major reason why physicians are seeking salaried job opportunities at hospitals. According to a 2013 study by the American Medical Association (AMA), 29% of physicians worked directly for hospitals or for a practice that was at least partially owned by a hospital. Physicians employed at hospitals often find the environment to be highly bureaucratic and dislike the feeling of being micro-managed. So which career setting offers the most job satisfaction? In Medscape’s Employed Doctors Report, 65% of self-employed doctors are slightly more satisfied with their current practice situation. Do family physicians in rural areas have higher job satisfaction than those who practice in urban areas? Physicians who choose to practice in rural regions face less competition as most of rural America has a medically underserved population and isn’t as “over-doctored” as metropolitan areas are. But that also means these family physicians may be spending more time in their practices due to larger patient loads and on-call duties. Physicians working in rural areas may also receive slightly higher compensation than their big city counterparts. However, there are more opportunities for employment and entertainment in urban areas which is why many young family physicians gravitate toward major cities. 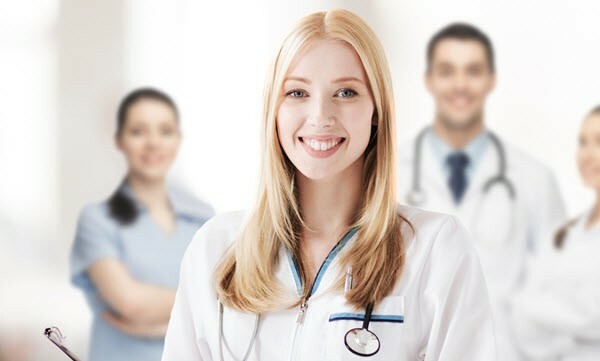 This is also partly due to the fact that many of the top medical colleges are in big cities and young family doctors may way want to practice close to where they received their education. Keep in mind that in urban areas, there is a doctor on every corner so competition is higher and the cost of living may put a dent in your finances. Family physicians in big cities may also find lower reimbursement rates from insurance companies. There are pros and cons to practicing in both locations. which is why it’s crucial for you to weigh your options and choose wisely. Fair compensation is another important factor in job satisfaction among family physicians. In Medscape’s Physician Compensation Report, family physicians earned an average of $176,000 in 2013, making family medicine one of the least compensated medical professions. When it comes to location, the highest earning family physicians earn an average of $198,000 in the North Central region of the U.S. Family physicians who are employed at hospitals earn $191,000 compared to office-based solo practices that bring in $158,000. When assessing family physicians’ feelings toward their compensation, the survey found that 50% feel they are fairly compensated which is in line with other medical professions. But as we all know, money isn’t everything when it comes to practicing medicine, and high salaries aren’t the key to satisfaction. Many family physicians measure their level of job satisfaction not by income or location, but by the time spent caring for their patients versus paperwork. 57% of family physicians who responded to the Medscape survey spend up to 40 hours each week seeing patients. When compared to hours spent on administrative duties, 32% of employed and 35% of self-employed family physicians spend at least 10 hours per week on paperwork. Family physicians aren’t spending enough time seeing patients which can affect the quality of patient care and lead to physician burnout. This is particularly true in hospital settings where physicians face increased pressures to see more patients. 55% of family physicians reported spending 16 minutes or less with patients and about 44% spent more than 17 minutes. And 31% of family physicians reported seeing between 25 and 75 patients per week with 46% seeing between 76 and 124. While these statistics reflect how overwhelming family medicine can be, 32% of doctors surveyed said they would choose the same specialty all over again. Despite the many challenges and frustrations that come with being a family physician, 46% find that the key to job satisfaction is their relationship with patients. And that’s the most rewarding and gratifying part of family medicine. Share your thoughts: As a family physician, what do you think is the key to job satisfaction?